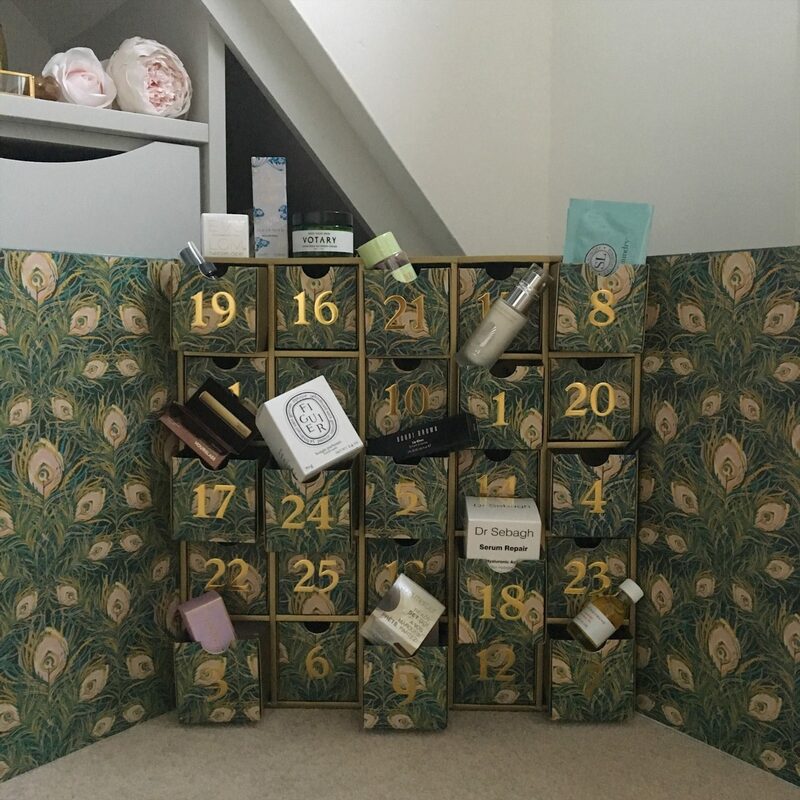 Is the Liberty London Advent worth the spend? Nope I haven’t gone mad talking about a beauty advent in January. Stick with me. The thought behind this post is once all the hype has died down and you’re heading into January with all your beauty treats, is it actually worth it? This year it happened. The very much loved and hyped, sell out Liberty London calendar landed into my life. John and I exchanged advents. He had the beer and pork scratchings one from the Snaffligpig Co, a much more guy choice. I got one packed with all things beauty. 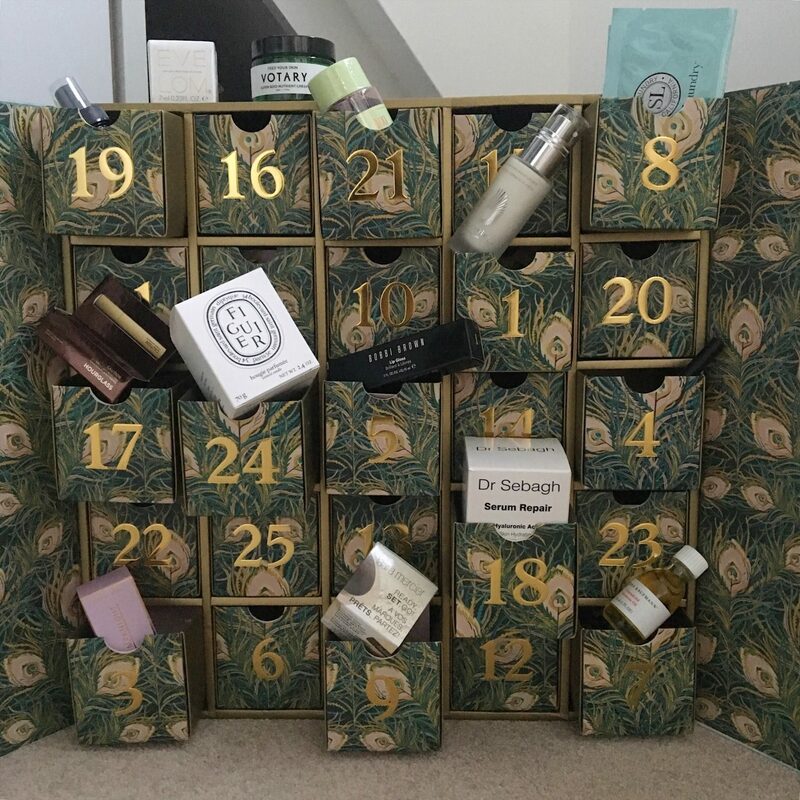 The calendar boast 25 draws, packed full of luxurious beauty treats that are featured in the gorgeous beauty hall at Liberty London. A selection of mostly minis but a couple of full sized ones. Mostly skin and body care but a few makeup bits scattered through. Lots of great brands are included like Laura Mercier, Votary, Pixi, Hour Glass, Diptyque and many more. A really great mix to please any beauty addict. I’m really impressed with the products included. There are so many things and brands I’ve be wanting to try. It ticked a lot of boxes put it that way. There is a definite mix so you don’t get all skincare. There are body treats, makeup, a candle, hair care and bath products. Deodorant and relax oil are included too. At a huge cost of £200 for a Value of about £400 it does hold a lot of product. You certainly couldn’t try out half of it for £200. For me the Laura Mercier translucent setting powder is a fave. It didn’t disappoint. Gorgeous product that I’ve now purchased in full size. I’m saving the mini for travel. Crazy I know. Electrogel Cleanser, a lovely cream cleanser. Gentle but detoxifying. Pixi Glow Tonic, we all love it and have a bottle but I’m all for a mini size for travel. I’m a sucker for a mini and like to take a good regime away with me. There is a real nice mix of products however there are a couple of items that repeat. I mean no not a massive deal but I don’t need 3 creams and 2 cleansers it could of been switched up a little more. Being fussy I would have loved to of seen a couple of the face bits switched. The Omoroviza could have been their facial mist. Another moisturiser could of been swapped for a body scrub or body cream. 2 cleansers is fine but I would of switched one to a makeup remover. Aesop isn’t included and I would have loved a treat from them. I genuinely enjoyed this advent and would say if you can afford and want to try out lots of different products it’s a brilliant one to pick. It is worth it if you enjoy that kind of thing. If I compare to other brands I’ve had before I would 100% say pick an advent from a store rather than a brand. You get far greater variety and aren’t left with lots of multiples because they don’t really have enough variety to fill it. The sizes are pretty great as well. You get a lot of uses out of them to really test drive or feel you’re getting your monies worth. It is very expensive though and I wonder if I would enjoy £200 of full sized products rather than 25 mini items. Would I buy it again? Probably yes. I loved every minute of it and although I can criticise it ever so slightly it is pretty great.